SPECIAL THANKS: To @Throzz, @Enki91 & @NeverSink for listening to my theorycrafting rants and for their great suggestions & input! NOTES: Fixed a passive tree error. INTRODUCTION: Hey Marauders, I'm Paige and today I'm writing a quick guide on a skill that I feel is top tier in 3.0, yet severely underappreciated. That skill, obviously is Magma Orb. This thing deals insane amounts of single target damage when linked with Slower Projectiles, and clears out entire packs of mobs from screens away using GMP/LMP. You cast it a couple times, and your item filter notifications are blowing your speakers up because you're killing so many mobs that aren't even visible, seriously. "Do you think it's Guardians, Shaper & Uber Atziri viable?" Yes. This build is god tier. I don't know why I never tried it before considering I've played Lead Sprinkler and Nga's FLame Cyclone, and I don't know why more people haven't caught on.I can honestly say this is up there with the best builds. I look forward to getting to 90+ and getting Magma orb o 21. It's worthy of the time invested. I finally found my build for the rest of the league! The clear speed is just so good, and melts bosses too. I started trying to level as attack build cause had some uniques for +dmg, swapped to magma orb at around 30~ and wished i had done it earlier, AoE is insane with 3-4+ projs and doesn't leave stragglers 99% of the time, just magma once/twice and move, was using a +1 tabula which helped a lot, rest was mostly crappy uniques that i was too lazy to swap and didn't help at all. Just hit 71, first time doing the new acts, best leveling experience i've had in PoE so far, magma orb is just really satisfying to use idk, single-target was lacking a bit through acts 5-7 cause of gem level and gear i was wearing/didnt swap gems for bosses, now to maps! Just wanted to say ty for the build, it's really fun, got my first Shaper kill today! Vortex was a pain tho. Currently level 82 with this build. Running a Bisco's and I already killed two guardians and clear every map super fast. Kill bosses just as fast with slower projectiles. Really love the build! Would be good to swap in Xoph's heart for Shaper/Uber Atziri, but you can get by just fine without it. Just wanted to add I've gotten a Heart + 6l pledge recently (farmed my eyes out); and it's been great! I've been recommending this build to all my friends, that's how much fun I'm having. 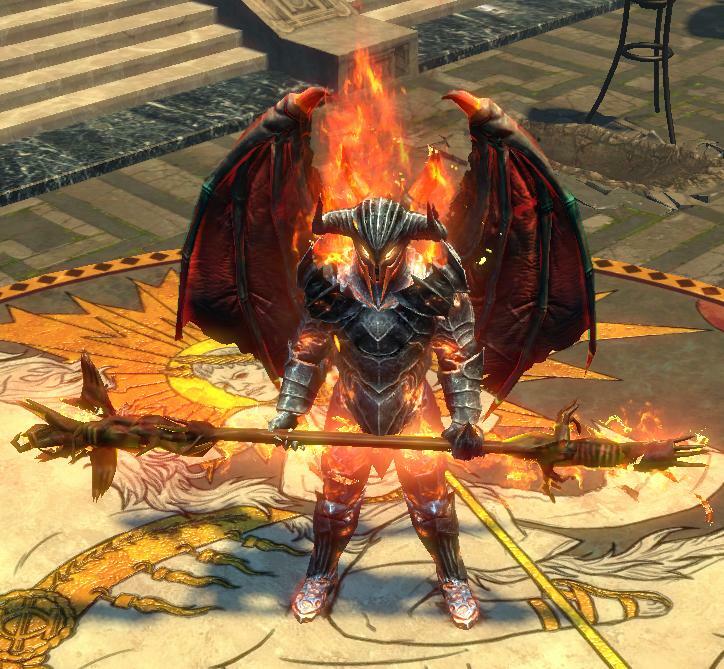 Gearing while leveling is simple, craft a +1 Fire gem Wand for Firestorm or Magma Orb, prioritize Movement speed on boots. Resistances & Life on everything else. You will also need to prioritize Intelligence on your gear during the first 20 levels so that you can continue leveling up Firestorm/Magma Orb as you play. If you are able to get your hands on some leveling uniques, then I'd definitely recommend it. Things like a Lifesprig, Goldrim, Tabula Rasa & Wanderlust will make your leveling experience much smoother. There are a few additional items you may want to consider picking up if you find yourself not being able to level Firestorm/Magma Orb up because of low Intelligence. Besides the obvious one's I listed above, you may need to get a Stone of Lazhwar, Wurm's Molt Leather Belt & a Doedre's Damning Paua Ring. Making sure you're using the highest level flasks available to you while leveling is very important, I usually run with 2 Life flasks, 1 or 2 Mana flasks & 1 or 2 Quicksilver Flasks. Rolling your flasks are not worth the time or currency as you will be replacing them fairly quickly, it's really only until you reach Part 2 (Act 6+) where you may want to consider rolling a "of Staunching" mod, as bleeds may kill you fairly quickly. Feel free to roll your Quicksilver flasks if you have extra currency, these you won't be replacing for awhile. Others: I personally sometimes use Purity of Elements to help with resistances. I also took Summon Ice Golem (Lightning is fine too), Flame Dash/Lightning Warp for movement. You can level multiple Firestorm/Magma Orbs at a time so you can corrupt them later on for a possible 21/20. You can also use a Cast When Damage Taken setup (such as Frostwall or Immortal Call). I also sometimes run Decoy Totem mostly for bosses. Feel free to add other gem setups of your choice that you feel fit. You can't really go wrong here. 20p - Picking up that Intelligence node so we can continue leveling up our Firestorm/Magma Orb. 40p - Picking up the first jewel node here for the unique jewel Inevitability. 70p - Picking up the second jewel node here for the unique jewel Inevitability. Gearing for this build is very simple. Find rare gear with high Life, and Resist rolls on it. Make sure your overcapped Fire Resistance is higher than Cold/Lightning so you can make use of The Wise Oak flask. Weapon: Pledge of Hands is a must. It gives us a nice Spell Damage boost, and lets us effectively run a 7L Magma Orb which is insane. Helmet: I recommend a rare helmet with Life/Resistances. Boots : I recommend a pair of rare boots with Life/Resists/Movement Speed. Gloves: I recommend Winds of Change, these are dirt cheap and very powerful for our build. Body Armour: I recommend a Kaom's Heart, this gives us a ton of life, and increases our Fire Damage for Magma Orb. If you can't afford a Kaom's, then use a rare chest with high Life/Resists or a Perfect Form, or a Lightning Coil. Belt: I recommend a Leather Belt with high Life/Resists. Rings: I recommend x2 Opal rings with % Fire Damage/Cast Speed/Life/Resists if possible. If not, any rings with Life/Resists will do perfectly fine. The best base for our rings will either be Coral or Opal if you have the choice, go with Opal. Amulet: I recommend a Xoph's Blood Amulet. If you can't afford a Xoph's Blood amulet, just use a rare amulet with Spell Damage/Life/Fire Damage/Cast Speed/Resists (as many of those stats together that you can afford). Dying Sun is an amazing flask if you can afford it due to it increasing the area of effect & adding projectiles to our Magma Orbs for faster map clearing. The Wise Oak Bismuth Flask is amazing if you can either line up your resistances perfectly even (100/100/100 for example) or just having your uncapped fire resistance higher than your other resistances, it'll provide us with Fire Damage Penetration which shoots our damage up through the roof, especially when used on bosses since they have high resistances to begin with. Outside of those two flasks, you also have the option of running something like Taste of Haste for physical damage mitigation, but I don't feel it's really needed unless you're fighting a guardian like Chimera or something with very high physical damage spikes. Now that we've gone over the unique flask choices, the other flasks are completely up to you. Keep in mind that we will require a "of Staunching" flask to remove bleeding. I personally would recommend taking a Basalt flask for physical mitigation as well. x2 Inevitability Jewels Are REQUIRED. The best stats we can find on a jewel will be something like Life/Fire Damage/Cast Speed/Projectile Damage or Area Damage. For our Ascendancies we'll be going with the Berserker. We'll be taking: Pain Reaver > Cloaked in Savagery > Crave the Slaughter and then Aspect of Carnage. Soul of Lunaris & Soul of Yugul. Helmet: The only enchant that matters on our helmet is going to be "Magma Orb Chains An Additional (1-2) Times". The 1 chain enchant is fine, but obviously try and aim for the 2 extra chains ASAP. Boots: For boots we have 2 viable choices depending on what content you plan on doing. If you're mapping, "(8-16%) increased Attack and Cast Speed if you've Killed recently". If you plan on bossing more, then use "Damage Penetrates (6-10%) of Enemy Elemental Resistances if you haven't killed recently". Gloves: Glove enchants are pretty much pointless. I don't have any recommendations here. Added more point options under the skill tree section. Added video since I'm sure a lot of people wanted to see how the skill functions. How important is Xoph's Blood for this build? I have a 6 link Pledge already but that amulet is probably way out of my price range on Harbinger. Thanks for your awesome builds :). Want to play one on standard (so currency isn't a problem), but I'm not quite sure which one. I cannot decide between this magma orb build and your FP Berzerker. Can you tell which is better in terms of fast clearing and end game like shaper, guardians, uber atziri? Also I want to ask if you got post a pastebin for this magma orb build? I honestly couldn't say for sure but I feel like this build has a lot of potential and feels very strong single target & AoE. I can add a PoB link after work today, np. This build seems to do more damage to bosses and cleared Abyss in 3 minutes compared to FP which did it in 4. Any sort of curse setup you'd recommend? I don't have Kaoms or Xoph's blood so I can make do for now with my rare chest that I can socket something into. Was thinking something with orb of storms-curse on hit-flammability-increased crit; this could also help proc ele overload.